Not only are women not exempt from the (almost) inevitable struggle with hair loss as we age, but celebrities aren’t off the hook either. You may already know that 40% of women will experience hair loss or hair fall out by the time they hit their 40s according to the American Academy of Dermatology, but even the most gorgeous women you see on TV and social media are a part of that 40%. It’s both reassuring and staggering. 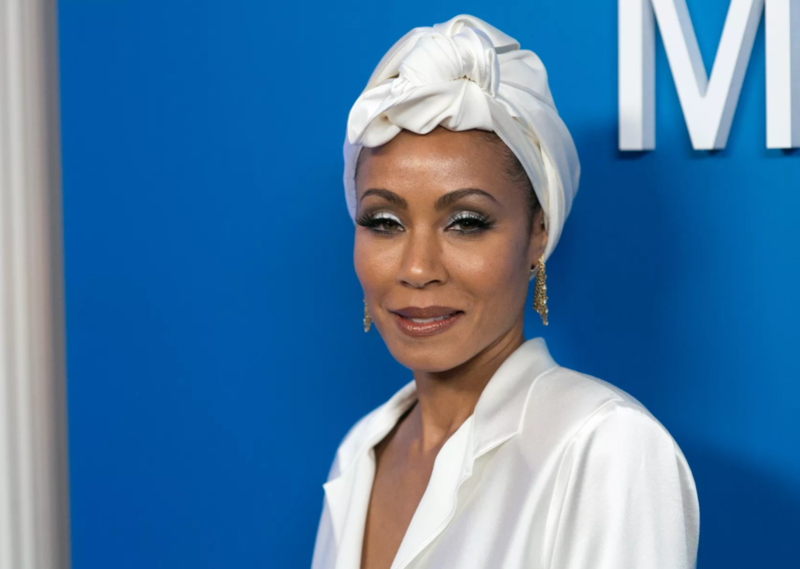 Celebrities like Jada Pinkett Smith have been seen on the red carpet rocking turbans and fashionable head wraps, but like Pinkett Smith, some times it’s to hide a hair loss problem, rather than starting a new trend. If hair loss is in your future (or present! ), you might find comfort in know that these female celebrities have also experienced hair loss. ﻿Kiera Knightley has admitted that she wore wigs for five years as a result of dying her hair “virtually every color imaginable for different films” according to InStyle. Damage to hair can come in many forms, and harsh dyes, bleach, and other chemicals can certainly be a contributor to hair loss. For many, especially in the Hollywood spotlight, extensions are a necessity to give the appearance of thick, full-looking hair. The same was true for Naomi Campbell. After years of mishandling her hair in the thick of the model-life, particularly ridden with hair extensions, Campbell says “she lost of all it” according to the Evening Standard. 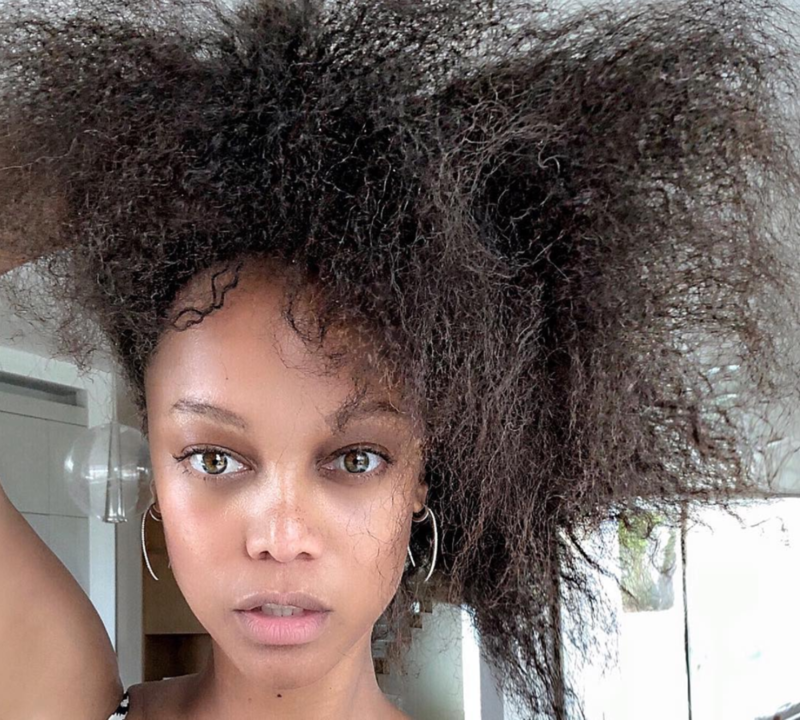 Tyra Banks has spoken out about her experience with alopecia areata which is the medical term for pattern baldness where hair loss occurs in round patches. In her experience, stress was the key contributor; she experienced significant hair loss around a particularly stressful time in her career while she was writing her book Modelland in 2011. Back in the early years of her career, Neve Campbell also experienced alopecia at the young age of 23. The stress from a divorce, young fame, and reported stalkers, lead Campbell to feeling so stressed that she started losing clumps of hair according to The Daily Mail. Unlike alopecia areata which can be brought on by stress, traction alopecia, is a gradual hair loss caused primarily by pulling the hair in a similar manner repeatedly, like weight tight ponytails or braids. 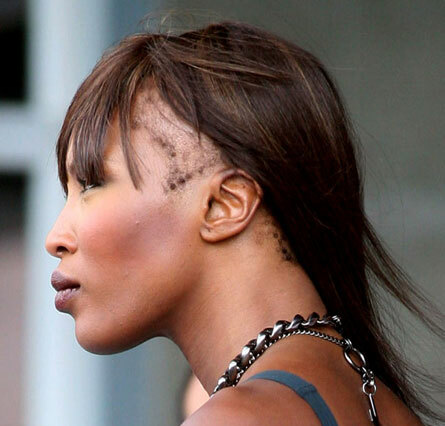 Christina Aguilera was also reported to have experienced this pattern baldness at the peak of her career; while her hair grew back after she recognized the issue, for many, traction alopecia is permanent and irreversible. Selma Blair, like many other famous (and non-famous) moms, suffered from hair loss after the birth of her son, Arther, in 2011. Many new moms experience significant hair fall out in the months following pregnancy as a result of changing hormones. While many women turn to wigs, extensions, and stylish head wraps during their postpartum journey, Blair took to the streets flaunting her bald patches, like a crown of honor. And let’s be honest, motherhood should come with a crown! “This is not glamorous, but it’s true: I need to take longer showers so that I can collect the hair that falls out and throw it away so that I don’t clog the drain. Why do actresses never talk about that?” Blair explained in an interview with People.com. Victoria Beckham and Debra Messing have also admitted that they experienced hair fall out after giving birth. Postpartum hair fall out isn’t always as obvious as other types of hair loss, like alopecia, but often causes the hair to look thin, less healthy, and the hair part may look wider. So there you have it. You’re not alone! And let’s get one thing straight, we simply want to highlight just that - that you are not alone. Even the women who look gorgeous walking down the red carpet, on their Instagram selfies, and on the big screen, may be dealing with the same hair loss struggle you’re experiencing. The key is identifying the cause, and then finding a natural hair care line that will help you create the right environment for healthy hair growth, keep the hair that you have, and add volume to ensure your hair is always looking like you’re ready to strut down the red carpet! Follow us on social media to learn the latest hair tips, get expert advice, and check out the latest beauty trends. Catch THIQUE Hair on Instagram or follow THIQUE Hair on Facebook.